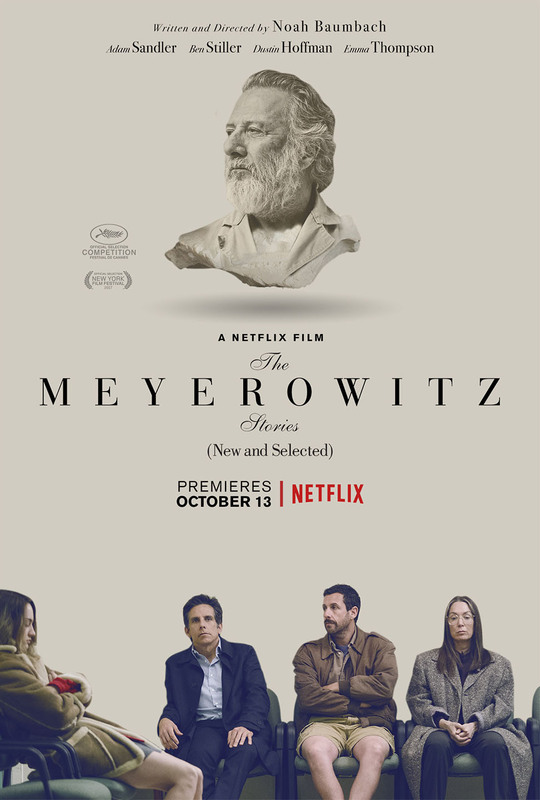 Brief Synopsis – A family gets together for their father’s art exhibit which shows the cracks in their relationships. My Take on it – This is a film that I have been interested in seeing for months based solely on the cast list. Any film featuring Dustin Hoffman, Ben Stiller and Adam Sandler in serious roles is worthwhile seeing since they are each great at what they do. Despite the fact that the rest of the cast is also talented, these three really stand out among them all. The story is told in a very interesting way and that actually helps make this story feel quite unique the whole time. The story manages to develop these characters really well and as we slowly learn about each of them and how everything in the past helped make them more estranged and distant from one another over the years. The dialogue is extremely clever which allows us to understand the various personalities of each of the characters just by the way that they act and speak. Bottom Line – Very interesting story that has its ups and downs. The cast is superb with Sandler, Stiller and Hoffman as the clear standouts among them all. The story is told in quite an interesting fashion which helps make this feel very unique. The characters are each developed quite well and we slowly learn about how and why they all became so estranged and distant over the years. The dialogue is quite clever and we get to understand so much about the various personalities just by the way they act and talk. Recommended! I liked it a lot too but felt that it was a bit too much at some points but overall still quite enjoyable. Tnx 4 stopping by and commenting Louisa! The scene with Hoffman’s coat in the diner — I laughed so much at that, it reminded me of my grandpa!